Liverpool are held to a second draw in the space of a week as West Ham United deal another blow to their title hopes with a 1-1 stalemate at the London Stadium. 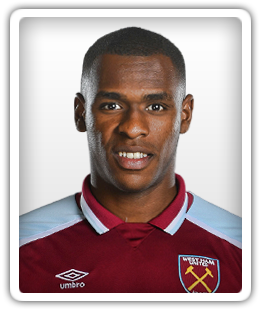 West Ham United centre-back Issa Diop emerges as a £50m transfer target for Paris Saint-Germain, according to a report. Manuel Pellegrini is pleased to have seen West Ham United remain calm after going a goal down at AFC Wimbledon in the EFL Cup before surging back for a 3-1 win. Relive Sports Mole's live text coverage of West Ham United's 3-1 win against AFC Wimbledon, as the Hammers dodged a big upset at Kingsmeadow. Nacho Monreal concedes that Arsenal still have room for improvement despite picking up their first win of the Premier League season this weekend against West Ham United. Hector Bellerin insists that Arsenal's first win of the season was always going to be "just a question of time" following the 3-1 win over West Ham United on Saturday. Manuel Pellegrini insists that West Ham United "are improving" in every game despite falling to their third Premier League defeat in a row en route to the foot of the table. Unai Emery dedicates his first Premier League win as Arsenal manager, Saturday's 3-1 victory over West Ham United, to the Gunners' supporters. Arsenal earn their first competitive victory under Unai Emery by overcoming West Ham United 3-1 at the Emirates Stadium. Arsenal boss Unai Emery recalls midfielder Aaron Ramsey for Saturday's Premier League fixture with West Ham United. Relive Sports Mole's live text coverage of Arsenal's 3-1 victory over West Ham United, as the Gunners recovered to earn a first win under Unai Emery. West Ham United to make late move for Fernando Llorente? West Ham United are reportedly considering a deadline-day swoop for Tottenham Hotspur striker Fernando Llorente. A report claims that highly-rated Le Havre defender Harold Moukoudi is on his way to West Ham United in a deal worth £10m. West Ham United midfielder Felipe Anderson says that he feels no pressure to perform, despite arriving at the London Stadium for a club-record fee. Reports suggest that West Ham United and Newcastle United are interested in signing Mainz's Yoshinori Muto. West Ham United are willing to sell defender Reece Oxford for a fee of around £10m, according to a report. Jack Wilshere reveals that he wants "to be playing in Europe" and is hoping that West Ham United can achieve Champions League or Europa League qualification next season. David Sullivan hails West Ham United's summer transfer business after pulling off a big coup in making Felipe Anderson the club's seventh signing under Manuel Pellegrini. West Ham United are on the verge of completing a deal for Lazio attacker Felipe Anderson, according to a report. West Ham United announce that they have completed the signing of Borussia Dortmund forward Andriy Yarmolenko. Manuel Pellegrini believes that West Ham United have signed a player who is "hungry" to prove himself after agreeing a deal with Jack Wilshere. West Ham United will reportedly listen to offers of more than £15m for Michail Antonio, while two other midfielders may also be offloaded. West Ham United to wrap up Felipe Anderson deal this week? Lazio midfielder Felipe Anderson is reportedly closing in on a big-money move to West Ham United, with personal terms the final stumbling block. Borussia Dortmund forward Andriy Yarmolenko arrives at West Ham United's training base in Switzerland to undergo a medical ahead of his proposed £17.5m move.